After a successful Kickstarter campaign, Moment is now the first company to sell an MFi-certified battery case for the iPhone X. It’s shocking Moment released this product before Mophie, but it did. The new Battery Photo Case includes a 3,100mAh battery that charges either wirelessly or through Apple’s Lightning connector. 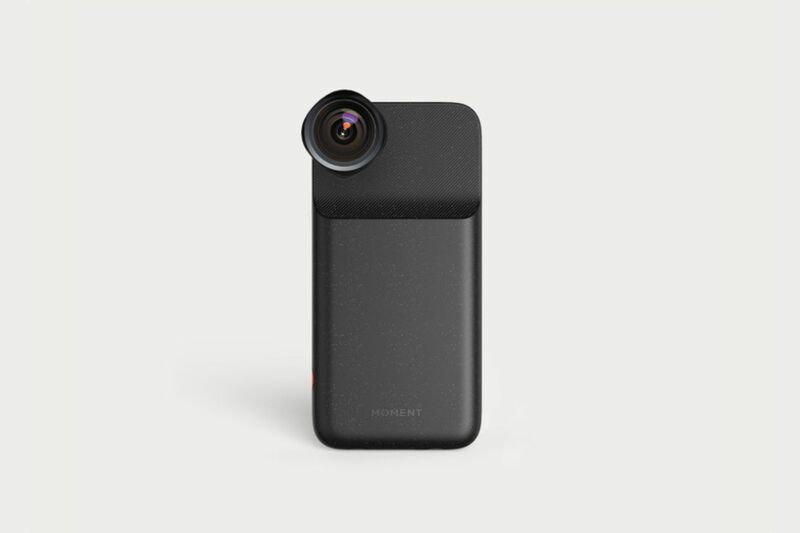 It’s also compatible with Moment’s new lens interface so users can add on one of the company’s perspective-changing lenses. The case features a physical shutter button, too, that works either in the Moment app or Apple’s iPhone Camera app. Limitations-wise, the case doesn’t work with the iOS 12 beta, nor can you use wired Lightning headphones with it. (This is because of the MFi program and Apple’s requirements, Moment says.) It also isn’t yet certified for the iPhone XS. Overall, the case looks nice. It’s speckled, has a textured grip, and is made of rubber, so it’s easy to take on and off. It costs $99.99 and is available now through Moment’s website. Again, this is the only MFi-certified battery case for the iPhone X, which is surprising considering that the phone has now been out for nearly a year and that Apple just announced its next generation of phones. It’s also discontinuing the X now, so yeah, it’s definitely late to be introducing this product. Presumably, more cases from third-party makers will follow soon.